Thanks for the link Tero , this is an amazing clip , I love FZ played on acoustic guitar. all performed to perfection . Will look that up. I have only one track on CD, the Michael Hedges one. It’s a good artangement overall, but lacks something at the very beginning. 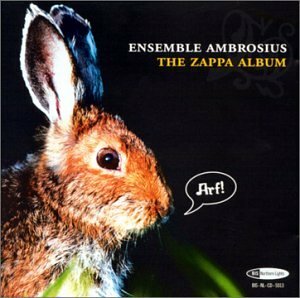 My only other worthwhile ones, not on guitar, are by Reinecke Trio and Ensemble Ambrosius . You can never have too many Sofas. You can take a listen to Duo Sonare on Spotify . OK, there was 5 min on youtube as well. ^^^ Been meaning to check that one out. 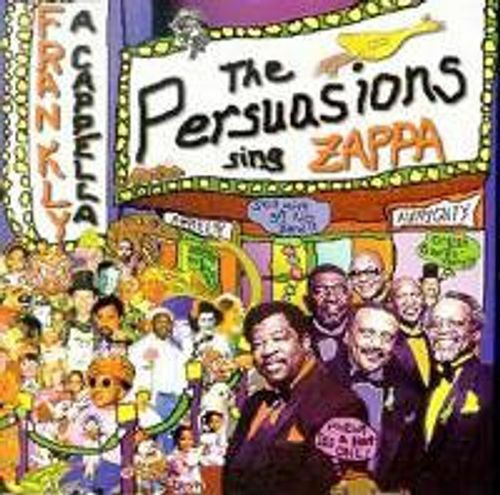 Love the Ambrosius cover album, really an astonishing read, and I love what Ed Palermo does, but my favorite will always be The Persuasions album. Really one of a kind. Their Lumpy Gravy alone is a must hear. That's great Tero ,thanks for posting . This is amazing also . Well! I've been (mentally) pronouncing it wrong all these years. Ed Palermo Big Band - several albums worth of Mr. Palermo's excellent arrangements of Zappa tunes. Meridian Arts Ensemble - "Classical" brass quintet + drummer, several Zappa & Beefheart tunes. Bobby Sanabria, "Big Band Urban Folk Tales", cover of Grand Wazoo. Finally youtube filter is fixed.